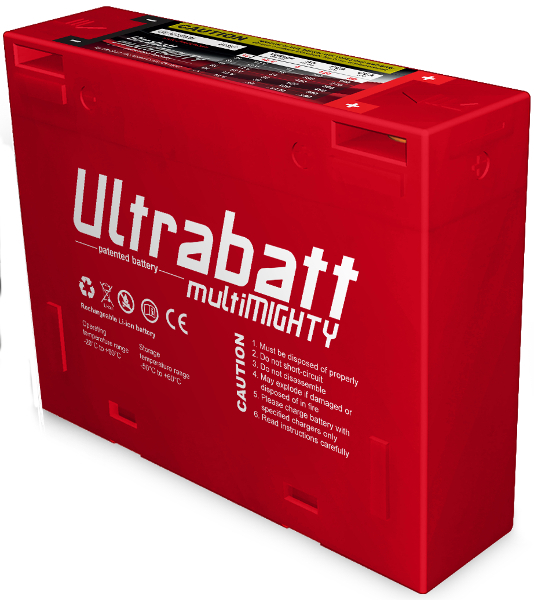 1-PowerBlade Ultrabatt Lithium battery with built in BMS! [FastBikeGear staff review] Fantastic improvement! We installed a Ultrabatt battery in our project Ducati 900SS two years ago. This bike has always been difficult to start as it has high compression pistons and racing carburettors that have no choke mechanism. Sometime ago I replaced the battery earth wires and starter motor wires with very heavy duty cabling and lugs, which made a small but worthwhile improvement to the speed the starter motor turned over the engine. 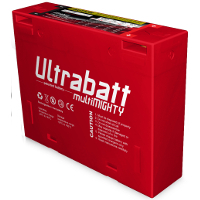 A couple of years ago we fitted an Ultrabatt Lithium battery (Model UB600Lite rated at 360 CCA). The starter motor now spins the engine at least 30% faster. It's almost inconceivable that such a small battery can deliver such an incredible kick. Every time I look at how tiny this battery is, I have had to recalibrate my thinking. The UB600 battery weighs just 1.1kgs and the 16 ah, 200CCA battery it replaced weighed just over 5kgs. A bonus is that I now have enough space in the battery box to accommodate my after market programmable ignition in the battery box as well! Ian Lowry: "Great service from passionate people about motorcycles. They have great knowledge of the products and the wider industry which is reassuring. Replaced my old Yuasa GEL battery with this new Ultrabatt for my KTM 950 SE and very impressed. Not only does it have a higher cranking capacity, but its smaller dimensionally and weighs just 1.13kgs v's old battery weight of 3.83kgs. Impressive!" Wade ****: "Good purchase, very helpful."